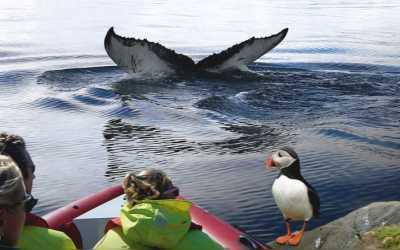 This amazing adventure will take you on a nature hunt on the blue waves of the Atlantic Ocean, offering the chance to see cute little puffins (summer) and whales in their natural habitat. 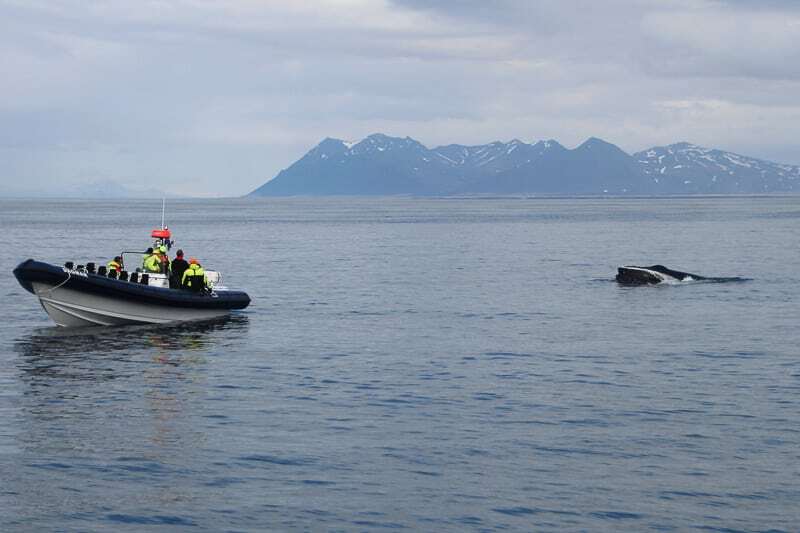 Our specially designed rib boat adds to the entire experience bouncing across the waves and allowing us to get up close and personal with some of the biggest and most intelligent marine creatures to have ever called our planet home. It is an exhilarating and awe-inspiring experience that is a must for anyone visiting the land of fire and ice. 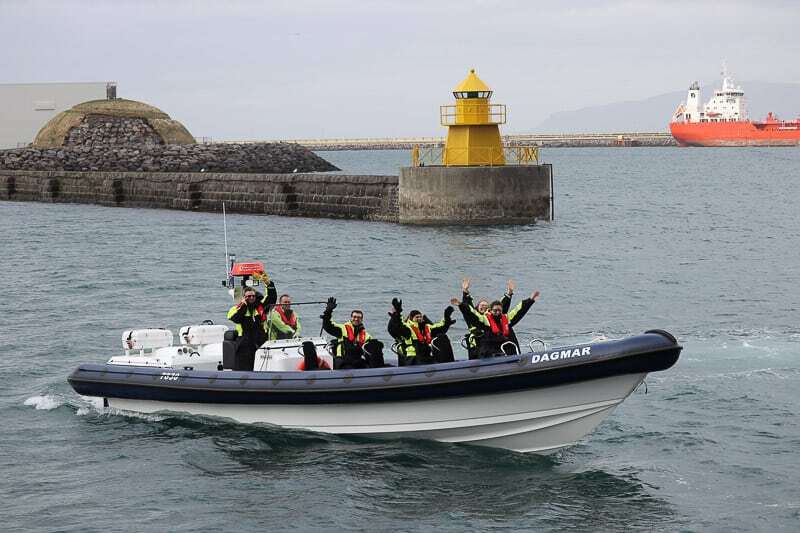 Our adventure begins at Reykjavik’s old harbor, where we will board our custom-made RIB boats, which are perfect for seeing all the magic that Icelandic marine life has to offer. The RIB Boat’s intelligent design is based around their shock absorbing suspension that guarantees they are comfortable as we bounce across the ocean. 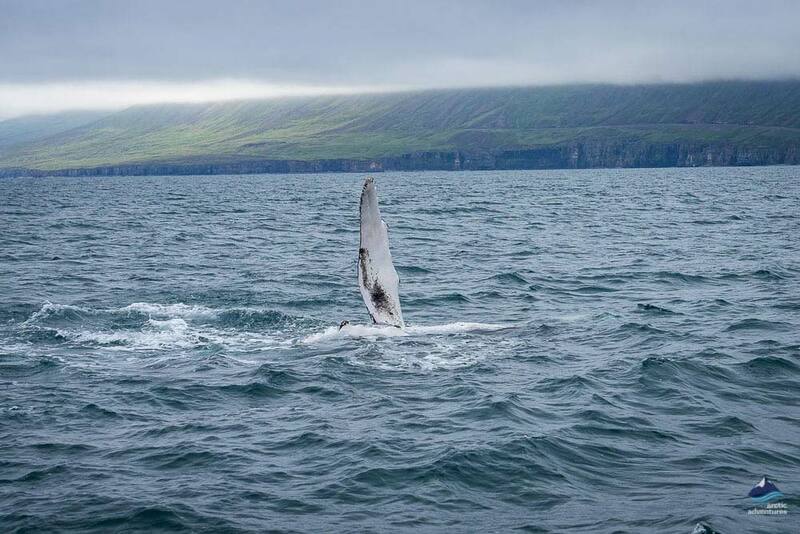 This combined with their low design makes them ideal for wildlife watching as we can go where other boats can’t and get up close and personal with these magnificent creatures, while always maintaining enough of a distance that we don’t interfere with what they are doing. Our first stop will be the picturesque island of Akurey, famed for the many adorable puffins that nest there during the summer months. These cute birds have earnt it the nickname puffin island, although we also see other species, like eiders and arctic tern. We find that this portion of the trip is especially popular with children and families as the puffins’ smiling faces are especially appealing to them, although everyone is sure to enjoy seeing these amazing birds in the flesh. 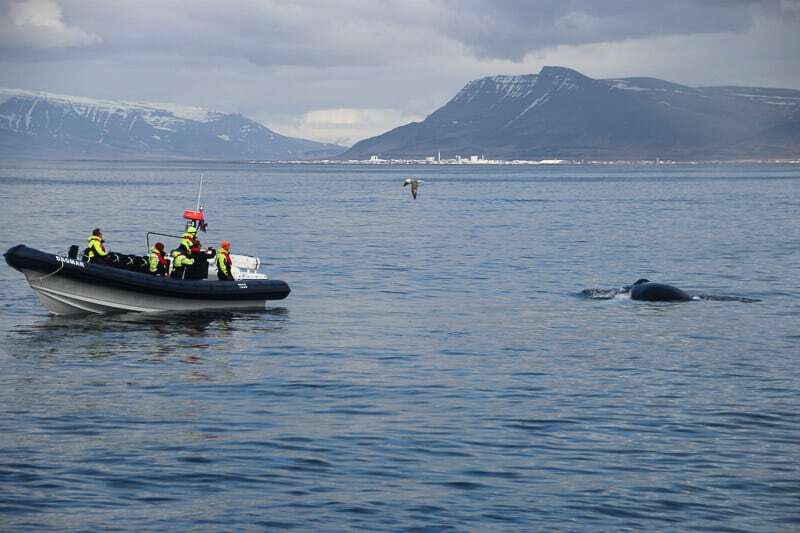 From there we will continue on into Kollafjordur bay – bobbing up and down as we cut a swathe through the white-crested waves of the Atlantic. 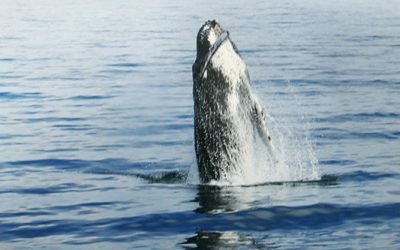 Whale watching can never be an exact science and it is impossible for us to guarantee what you will see during the trip. 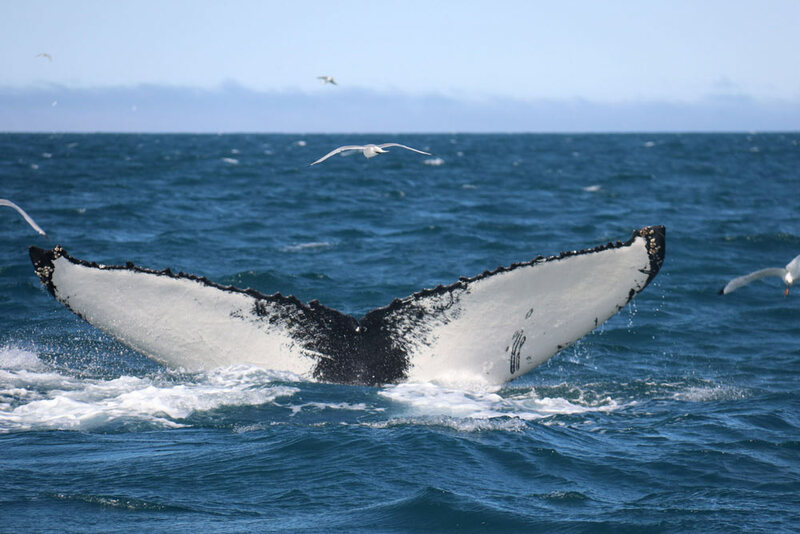 However, our expert captains have been sailing this bit of sea for many years and will do their utmost to ensure that we see something, using local knowledge and the latest scientific research to give us the best chance of seeing something. 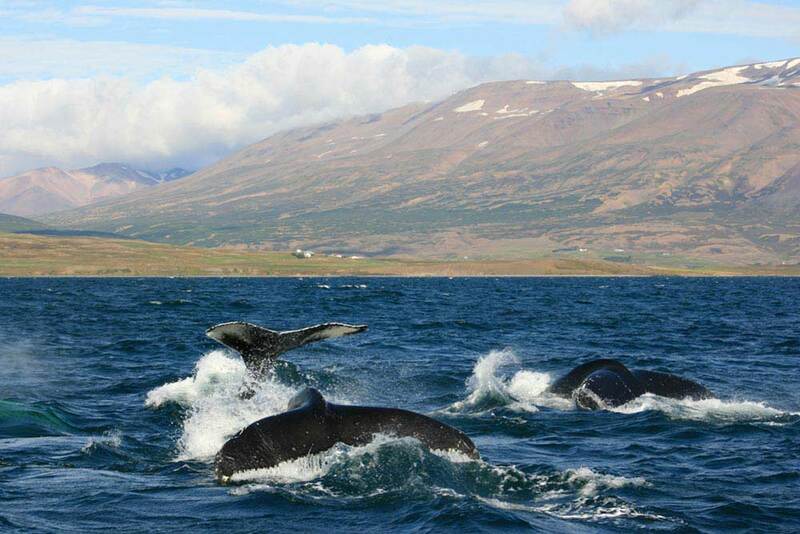 Iceland plays host to more than twenty different species of whale, which appear at varying concentrations and various times of the year. 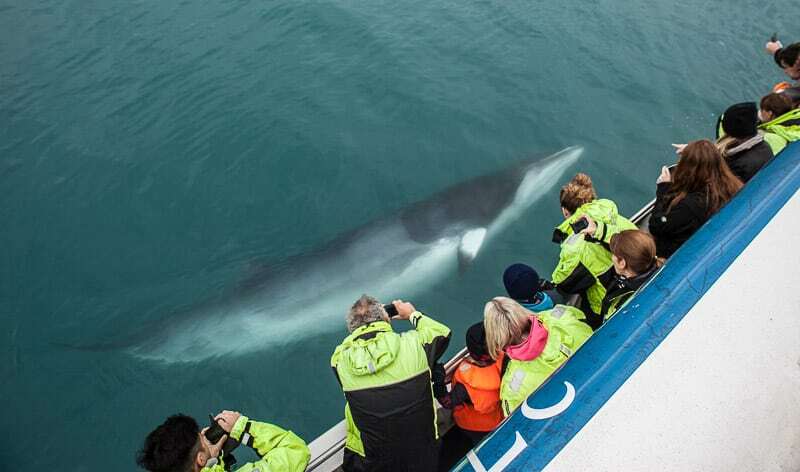 The most common are Minke Whales, Harbour Porpoises and White-beaked Dolphins, with Orcas and Sperm Whales also visiting regularly. The gargantuan Blue Whale can also be seen on occasion, offering us the chance to see the largest creature to have ever existed! 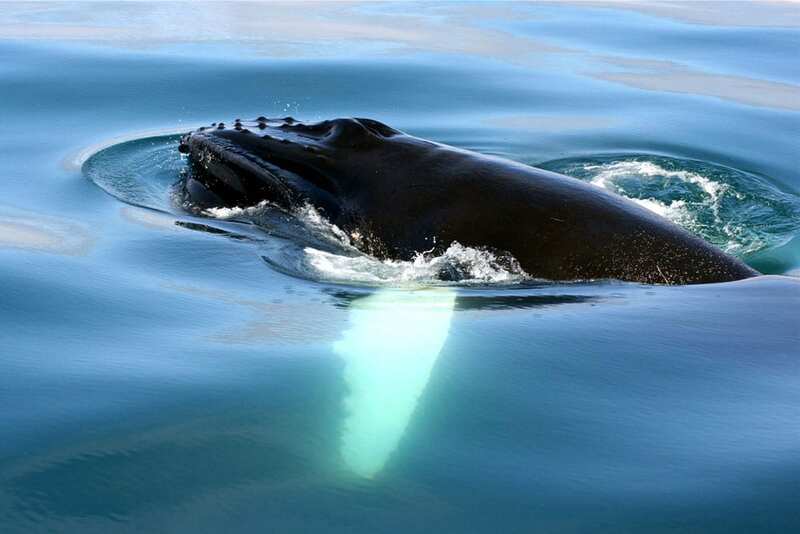 When we see any of these majestic creatures in the wild we are in for an awe-inspiring experience – as they frolic, play or hunt in the water. 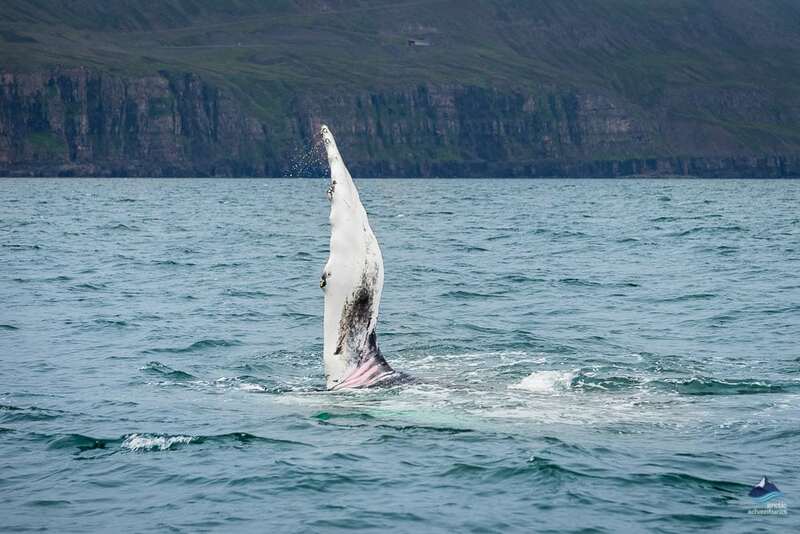 There is nothing quite like it and you are bound to be impressed by the intelligence of their hunting methods and the way they propel jets of water out of their blowholes. 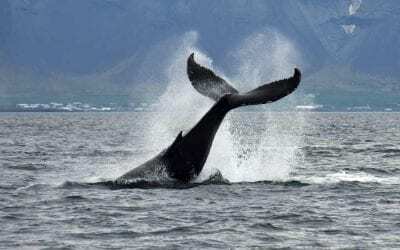 They truly are some of the most impressive creatures that you will ever see, and it is sure to be an experience that you will treasure forever. 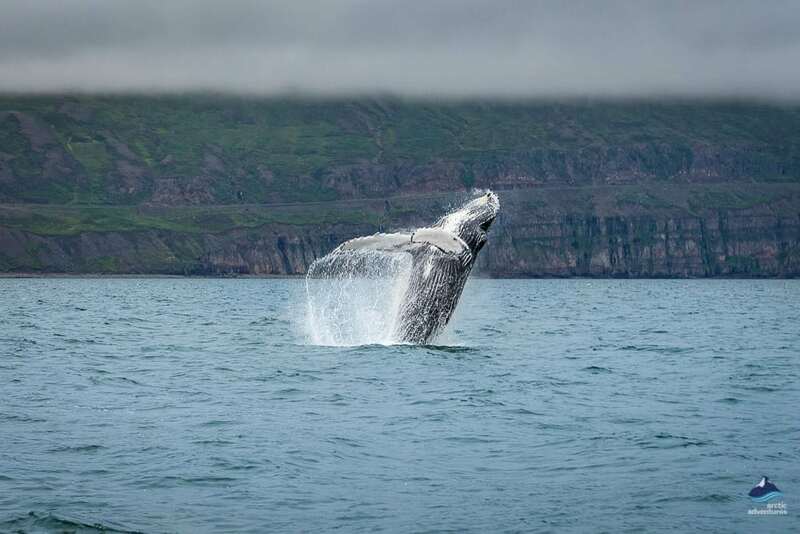 We will take the scenic route back to Reykjavik enjoying more of Iceland’s incredible coastal wildlife, including more nesting birds and playful seals. The perfect way to end an incredible day, combining an adrenaline-pumping boat ride and some truly amazing wildlife. We will provide you with all the safety gear that you need for the tour, including insulated flotation suits, life-vests, gloves, and goggles. 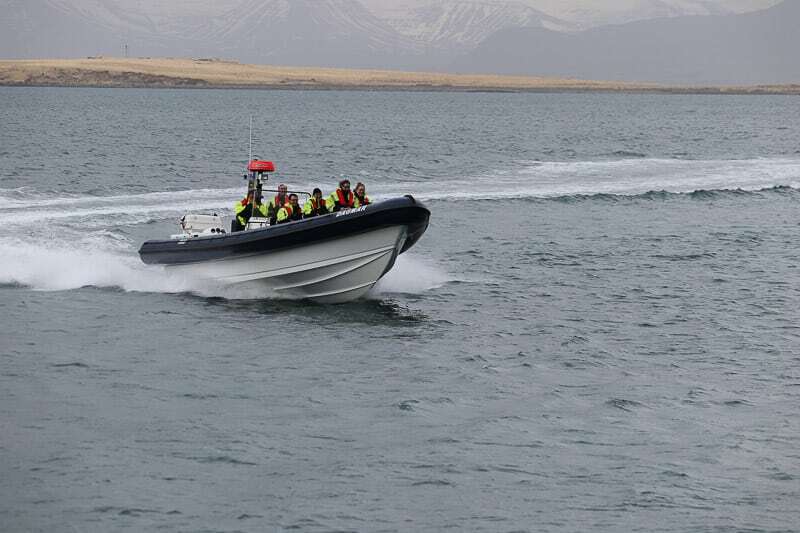 We recommend that you dress in warm clothing for the tour, as the seas around Iceland can be cold no matter the time of year. There will always be a professionally trained guide during the tour, who will keep you safe and tell you everything that you need to know about the amazing things that you are seeing. 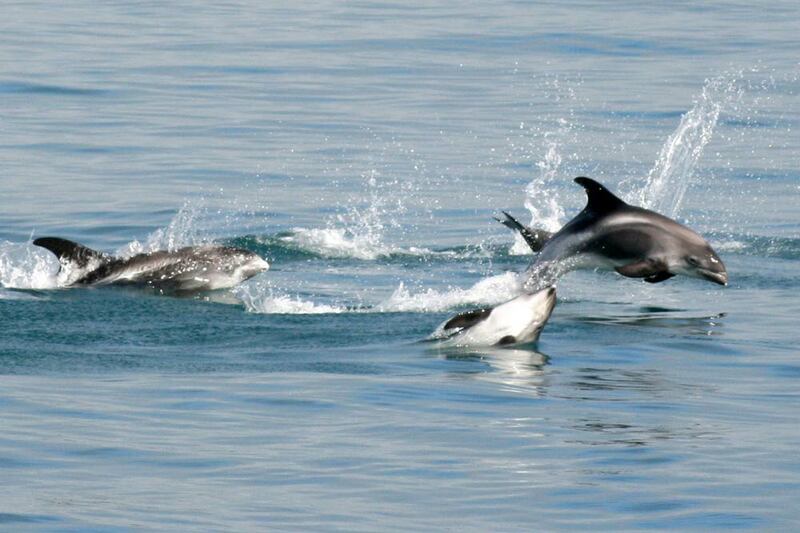 We also recommend that you bring a camera, so you can capture all the amazing wildlife that we can see. Meet on Location Meeting point: Old Harbour: Ægisgarður 13, 101 Reykjavík. We recommend arriving at least 20 minutes before departure.